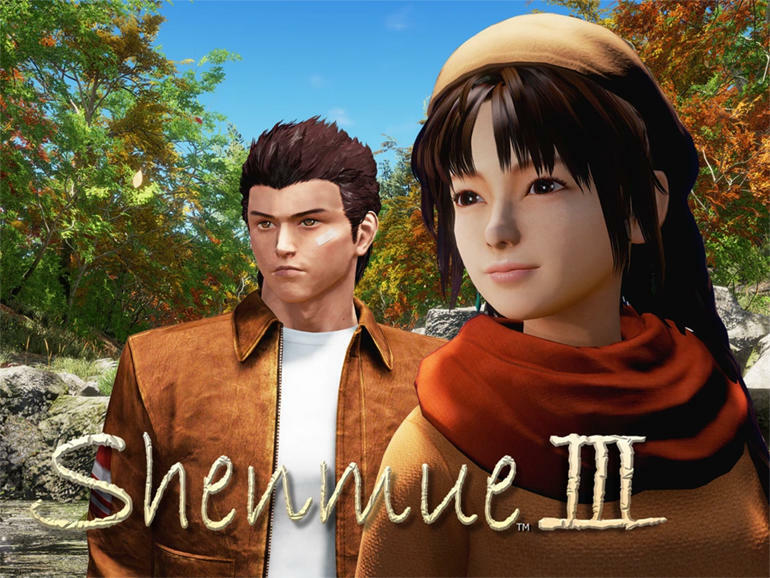 At E3 2015, Yu Suzuki and Sony Computer Entertainment surprised everyone when Shenmue III’s crowdfunding campaign was announced during the PlayStation conference. The hugely anticipated third entry in the Shenmue series went on to gather $6,333,295 from Kickstarter, becoming the most funded videogame ever on Kickstarter by a wide margin, and sixth most funded project when considering all categories. Truthfully, Shenmue I & II had a much bigger budget at the time, but now development tools are far cheaper and thanks to Epic’s Unreal Engine 4, Yu Suzuki will be able to create Shenmue III even with this budget. A:.. Please take a look at this diagram So far, we have finished the composition, story, planning and the game flow We will be advancing to the next development step soon. 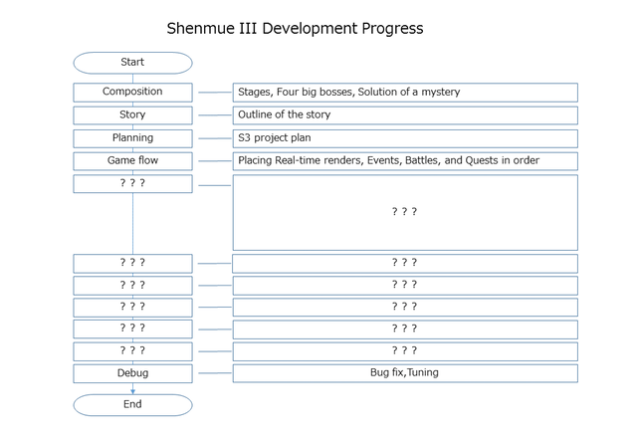 A:.. Shenmue III is based on the 11 chapters created 17 years ago, and each chapter is set in different regions For example, the first chapter was set in Yokosuka, second was set in Hong Kong and so on However, we can not finish with just one chapter in one region, so I had to restructure the story to fit within the scope of Shenmue III. Q:? What about the planning stage What is going on in this part? A:. Since we now know the amount of the funding from the Kickstarter campaign, we can plan the overall budget for development So I have mapped out the game project to fit that budget scope at this stage. Q: After the plan is written and ready, what happens in game flow stage? A:. It is about placing various cut scenes, events, battles, and quests in order. We have just finished this stage a few days ago, and we will be working on the actual game development now. A:. I will promise that I will be updating you about the progress of the development at least once a month. This is what we have for now. A:. I am thinking about seeing the 2015 Tokyo Game Show which will be held in September Also, I am planning to travel to China this October to both attend a game show called CHUAPP × 2015, and also to do some location scouting for Shenmue III’s development. A:… One night, I went to a Thai restaurant with the development team after work At that restaurant, a man approached me and asked to shake hands He said he was a fan, and we had a brief talk He also happened to be in the game industry and we began to hit it off. We talked some more to find out he really knew his job, and on top of that, he was an exceptionally good person. I was so impressed, I asked him to help with the development. I could not help but feel Shenmue’s unique gravity to bring interesting things together. Shenmue III is being developed for PC and PlayStation 4, with a tentative release date of December 2017. Stay tuned for more on the title.